There are huge shorts that have developed in precious metals as you know. So they are overdue for a rally. We have had a big drop in 2013 and everybody got negative and everybody got short. So we are going to have a rally, though not too much of the rally. I am not going to either buy or sell that rally, but there will certainly be a rally. Later in the year, things will go down again and hopefully finally, we will make a nice bottom and we can buy gold again. I would prefer silver to gold. I am not buying either at the moment. Silver is down 60% from its all-time high and gold is down 30% or 35% from its all-time high. However, I am not going to buy either at the moment. 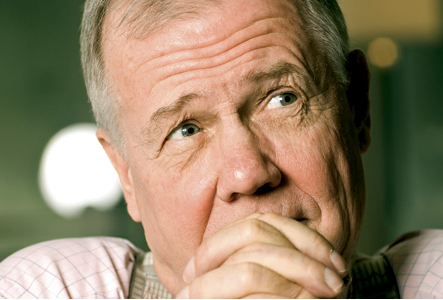 As most of our readers remember, Jim Rogers turned bearish near the top in 2011, and was a bear since then. It was the correct view to have and one of the reasons for the bear market according to Jim was because of Indians trying to decrease their Current account deficit. Because the demand went down as well as prices, their actions had the required result and India must soon stop with their anti-gold measures. 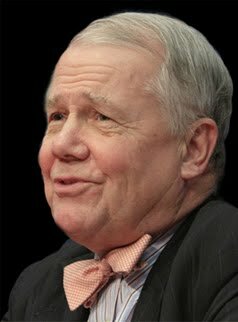 Jim Rogers still think gold will make new bottom probably at much lower levels: $1,100 oz or even $900 oz. Whenever I find a disaster with change coming, I try to invest because possibly you will make a great deal of money. Now, we can look at things locally and it’s not because I happen to be in Scandinavia. This is SAS, which is an airline you all know and hate, I am sure. SAS has been a huge disaster over the past several years. I own shares in many airlines but recently I have been buying shares of SAS. I told somebody at Skagen this a couple of days ago and he said, "God, you are crazy! That is a horrible company." I said, I know, it’s horrible, I know it has been mismanaged, that is why the stock has collapsed, that is why the company almost went bankrupt last year. So, I am bullish on Airlines worldwide for many reasons but this is to give you an idea of a local boy or girl that I hope it will make good going forward. 1. 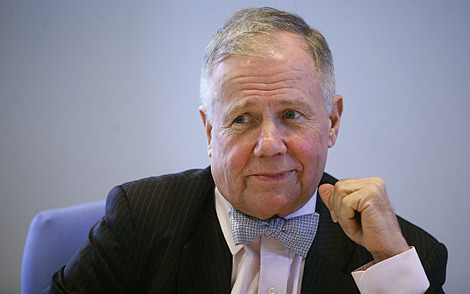 Aeroflot – Russia, as Jim Rogers is bullish on Russia and the Russian stock market. Russian tourist market is one of the fastest growing as well as the airline sector which posted great growth results in the last few years. We also have Sochi games coming. 2. Nok Airlines – Thailand, it might be due to the huge increase of Chinese tourists in Thailand, plus the possible visa exemption expected in 2014 or 2015. Another reason could be because Nok Airlines started flights to Myanmar, which Jim Rogers is bullish on. Full planes of people will be the normal to and from Myanmar. 3. SAS – Scandianvia – could be because it was near bankruptcy and now changes are coming and happening.